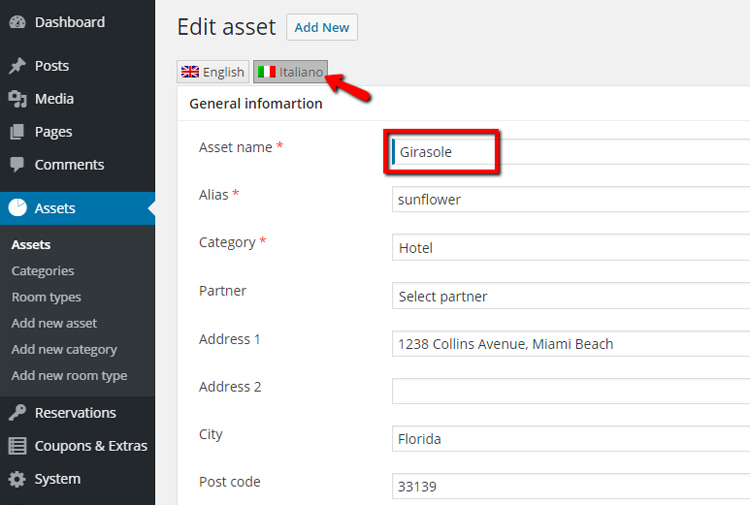 Multilingual support has been added to Solidres for WordPress v0.4.0, the initial plan was to introduce this feature into Solidres for WP v0.3.0 but due to some technical issues we had to delay it a little bit and now it is finally ready for public release. In addition to that, we are happy to include L’amour into our WordPress themes family as well as new updates for Complex Tariff plugin v0.2.0, Coupons plugin v0.2.0, Extras plugin v0.2.0, Invoice plugin v0.2.0, Limit Booking v0.2.0, Room Types v0.2.0, Statistics plugin v0.2.0, User plugin v0.3.0. 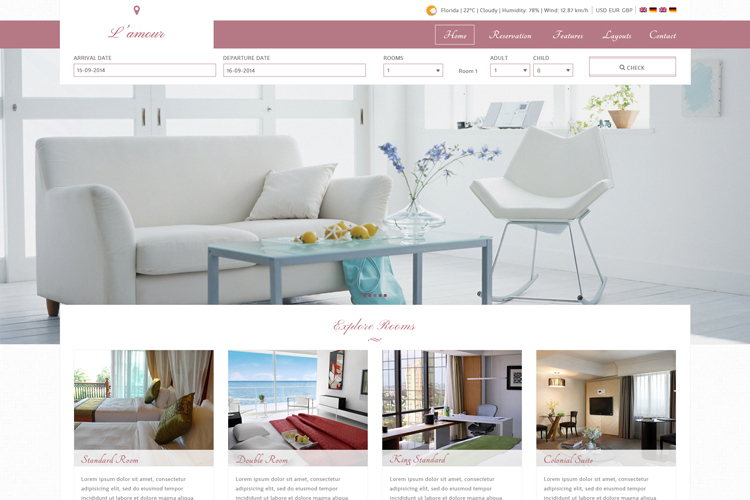 Add better support for apartment/villas booking when there is only 01 quantity, now you can replace the quantity dropdown with a single button, you can also hide the room form so that guest can book directly too. For Joomla users, we also release Custom Field plugin v1.1.0 and User plugin v1.1.0 which fix several issue from previous version, detailed change log for these plugins is available in the download page.